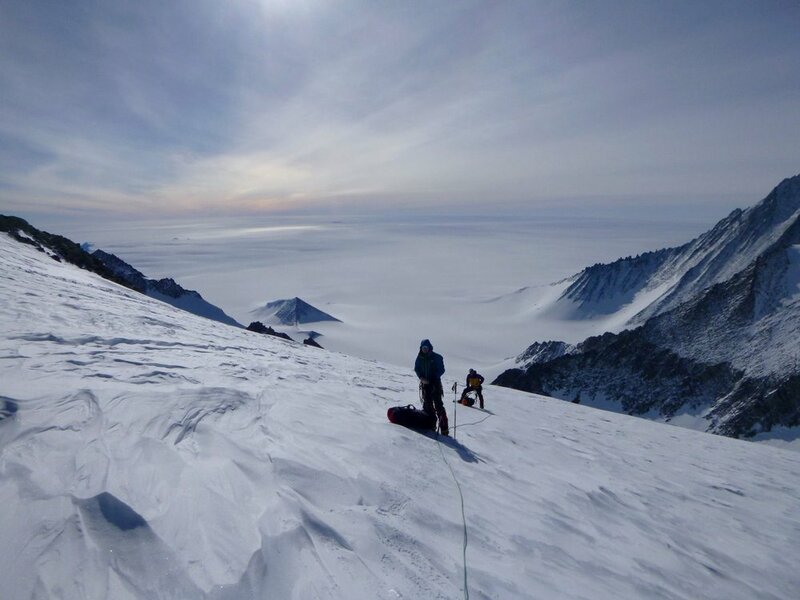 On 9th December, Pete, Liz and Joel successfully reached the summit of Vinson Massif, the highest mountain in Antarctica and have now arrived home safely. An adventure of a lifetime for them all but for Pete, this brings to a close his Seven Summits journey. 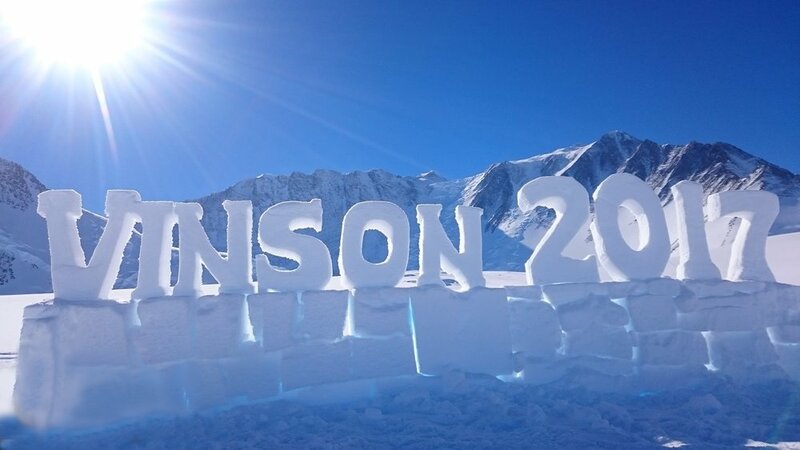 He has now reached the summit of the highest mountain on every continent, in memory of his dear friend Lt John Thornton RM. The opportunity to finally see Antarctica came when the team boarded the Ilyushin Cargo aircraft for one of the most challenging scheduled flights in the world. Landing on a blue ice runway at Union Glacier. There was then a frustrating six day delay while they waited for the weather to improve enough for them to make the one hour flight to base camp. They eventually took off in the Twin Otter aircraft which is adapted with skis but no brakes, landing on an uphill runway made from ice. To say the flight was 'sporty' is a bit of an understatement! They arrived at Base Camp at an altitude of 2300m and then hauled their kit on sleds up to Low Camp to an altitude of 2700m. The next step was to climb to High Camp at 3700m and ready themselves for the climb to the summit. To reach High Camp the team climbed 1.2 Km of fixed ropes at a 45-50 degree incline. It was ice all the way and they were carrying 19 Kg of kit each!! They needed a rest day to acclimatise as they were feeling the effects of the altitude quite significantly. The main issues were nausea and bad headaches. Because the mountain is so steep they gained altitude quite quickly, which caused the problems. 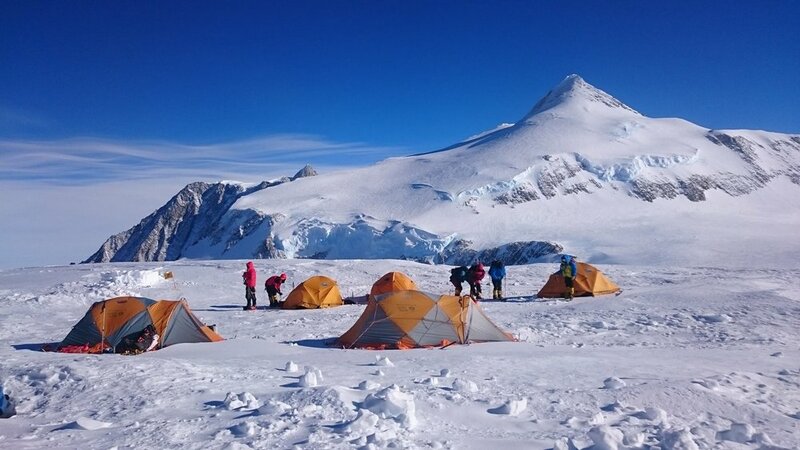 The push for the summit was delayed while the team were confined to their tents due to the horrendous conditions. The were sheltering from a windstorm and temperatures as low as -40 degrees which made it too dangerous for them to venture out. For four days they clung to the side of the mountain, betting battered by the elements but they remained positive the whole time. As soon as the weather cleared they smashed it! From High Camp at 3700m to the summit of Vinson Massif at 4892m and then back again in an incredible 10 hours. They were incredibly lucky with the weather with no wind and perfect visibility. The vista that met them at the summit was simply breath taking and a fitting end to an extraordinary journey. They flew the flags for the John Thornton Young Achiever's Foundation and Alzhiemer's Society and the GB flag. An emotional moment for them all and what an achievement. For Pete it means he has now completed the Seven Summits. 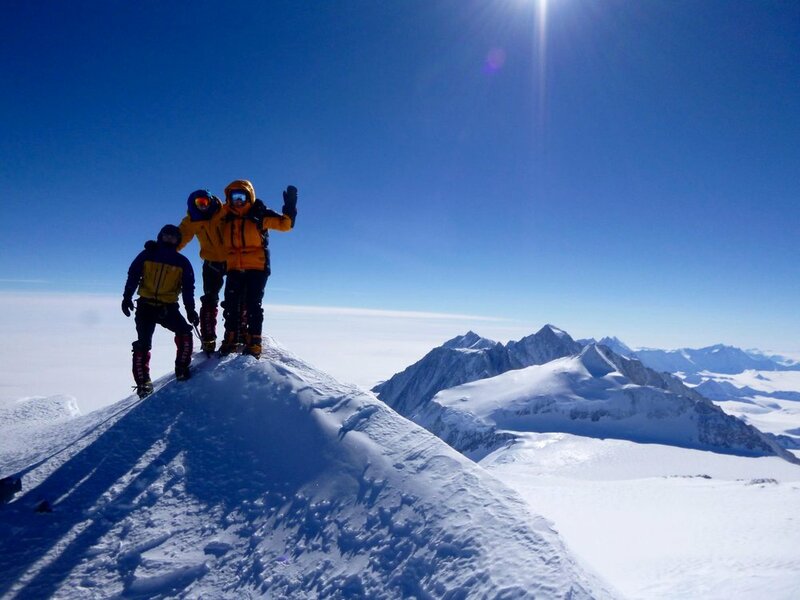 The expedition was not over yet - the team returned to the safety of High Camp and continued down to Low Camp and were then delayed for 3 days at Base Camp when the weather closed in and they had to wait for a window of safety for the ski plane to land. Eventually they were able to fly out to Union Glacier where they enjoyed a shower and a beer! They then had a few more days to wait for the next available flight to Chile and the start of their journey home. This was Pete's final summit to complete his tribute to his friend. There could be no better tribute and no better way to celebrate their friendship. John would be completely overwhelmed and so very proud of all that Team Venture Antarctica has accomplished. We would urge you to support them if you possibly can. "To those who have struggled with them, the mountains reveal beauties that they will not disclose to those who make no effort. That is the reward the mountains give to effort. And it is because they have so much to give and give it so lavishly to those who will wrestle with them that men love the mountains and go back to them again and again. The mountains reserve their choice gifts for those who stand upon their summits."